Genie Consultants Pvt. Ltd is a professionally managed HR Firm in Chennai that is involved in providing end to end Manpower Recruitment Services. We offer Manpower Recruitment Services to various industries including HR, BFSI, Telecom and FMCG. 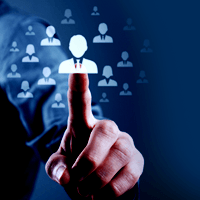 Our Manpower Services are aimed at highest quality, quick response time and the best talent for our vast client base. We select the brightest and the most talented candidates to enhance your workforce and help you turn your growth plans into a reality. Our consultants invest a good deal of time in understanding what a client wants in terms of qualification, experience, skills and caliber.